Landlord insurance is a must if you want to protect yourself and your property. And while owning property can be financially rewarding, it also comes with its difficulties and expenses. Landlord insurance is one way of mitigating some of these risks and can help you meet legal or mortgage requirements. Property insurance is not compulsory, but some mortgage lenders may require it and public liability or property owner’s insurance is a legal requirement. Many policies include or have optional cover that insures against lost rent and alternative accommodation for tenants as a result of an insured event. The table below gives a quick price comparison of the top UK providers for landlord insurance. Some of the features and benefits of Aviva’s landlord insurance. Aviva is an insurance provider that offers its policies direct to landlords and will cover individual properties or multiple properties. You can insure up to three properties under their Home Insurance for Landlords with each property having their own policy. For landlords with more than three properties, they offer Commercial Landlord Insurance. Aviva’s landlord insurance includes buildings and contents in one policy with unlimited contents cover. They will cover the cost of alternative accommodation if a property is unhabitable as well as pay your lost rent. Their cover includes fire, subsidence, flooding, replacement locks when keys are lost or stolen, and liability protection from £5 million. Some of the features and benefits of RSA’s landlord insurance. 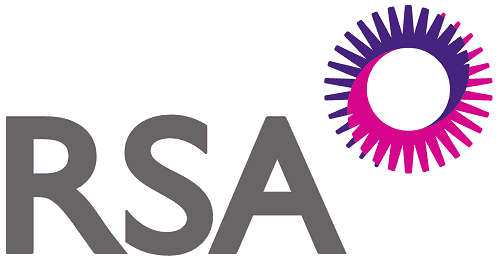 RSA is an insurance provider that offers their products through brokers or intermediaries. They offer two landlord insurance policies called residential properties and blocks of flats. Their policies target landlords that have multiple properties to insure and that have a minimum of three properties. RSA’s landlord insurance is only available to residential properties and they exclude properties that are rented to students, social housing and holiday lets. Their cover can combine building and contents cover with loss of rent cover, public liability which is a legal requirement and employer’s liability insurance if you employ anyone to look after the properties. Some of the features and benefits of AXA’s landlord insurance. AXA offers a wide range of insurance products that include landlord insurance which is available only to residential landlords, or commercial landlord insurance for commercial properties. You can cover up to 10 properties in one policy through their online quote tool and they cover more if you contact them. AXA’s landlord insurance includes the following as standard – building, property owners’ liability insurance up to £10 million, alternative accommodation if the property is inhabitable, cables and underground pipes and subsidence cover. You can tailor the policy to your requirements by including some of their optional extras such as accidental damage, loss of rent, contents and employer’s liability. Some of the features and benefits of Direct Line for Business’ landlord insurance. Direct Line for Business is an insurance provider offering landlord insurance for up to 15 properties on one policy and they offer a 10% discount for additional properties. Their policy includes buildings or contents cover as standard and if both are required it would be an optional extra. Direct Line for Business’ landlord insurance includes repair or replacement boiler with their building cover that excludes wear and tear. It also includes alternative accommodation if the property is affected by flood or fire, as well as glass and locks repair. Optional extras include legal expenses, accidental damage, employer’s liability, loss of rent, theft and malicious damage by tenants. Some of the features and benefits of Zurich’s landlord insurance. Zurich is an insurance provider that offers property owners insurance through brokers only. They will provide cover for commercial, residential and mixed portfolio clients with one to 10 properties in the UK with a limit set at £5 million per property. Zurich’s property owner’s insurance has been created to protect owners from damage to their property and any legal action. The cover includes buildings insurance with landlords’ contents up to £50,000 as an optional extra. Other optional extras include loss of rent, legal expenses and employer’s liability. It includes public liability cover which can be extended up to £1 million. Some of the features and benefits of Allianz’s landlord insurance. Allianz is an insurance provider that offers products through a network of brokers. They offer Complete Property Owners insurance that is a tailored product that can be flexible to meet your needs. The policy can be used for up to 20 properties that can be commercial or residential. Allianz’s Complete Property Owner insurance includes property damage which covers loss or damage to your buildings and contents. It also includes property owners’ liability up to £2 million which can be extended up to £10 million, and legal expenses up to £1 million with a maximum of £100,000 per event. Optional cover includes loss of rent, employer’s liability and personal accident. Some of the features and benefits of Ageas’s landlord insurance. Ageas is an insurance provider that offers its products through a network of brokers. They offer property owners insurance that is suitable for single or multiple property cover for residential properties/portfolios, commercial properties and blocks of flats. Ageas’s property owner’s insurance is a flexible product that allows you to build the cover that you require from a list of possible covers so that the policy is right for you. Their policy can include property, loss of rent, legal expenses, accidental damage, public liability, employer’s liability, director and officer’s liability, and landlord’s legal protection up to £50,000 on residential properties. Some of the features and benefits of LV=’s landlord insurance. LV= is an insurance provider that offers a variety of property insurance which includes rental properties to give landlords the protection that they need. They offer landlord insurance that offers up to £1 million building cover and they are currently offering a 25% online discount to new customers. LV=’s landlord insurance provides insurance for buildings and contents or contents only for leasehold flat owners. They offer new-for-old contents insurance of £10,000 to £50,000. It includes loss of rent or alternative accommodation cover if the property is unhabitable. Also included is replacement lock cover and public liability cover up to £5 million. Some of the features and benefits of NFU Mutual’s landlord insurance. NFU Mutual is an insurance provider that is owned and run by its members. They offer insurance directly to businesses which includes property owners and landlord insurance. This insurance product is a versatile policy that can be tailored to meet your needs with a range of optional extras. NFU Mutual’s property owners and landlord insurance provide cover against damage from fire, theft, storm or escape of water amongst other things. They offer a broad range of cover which can include business interruption, property owners’ liability insurance, contents cover and lock replacement as well as a range of other optional covers. Some of the features and benefits of Lloyds Bank’s landlord insurance. 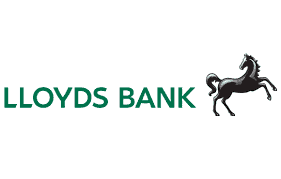 Lloyds Bank is a banking provider that also offers a range of business insurance products which includes landlord’s building insurance cover. Their insurance cover is for buildings cover only but they offer a range of complementary cover that can enhance the policy to give more comprehensive cover. They provide specialist advice for landlords with more than five properties. Lloyds Bank’s landlord’s building cover covers damage including fire, storm, flood and vandalism. They have a range of complementary cover that is available as extras such as accidental damage, landlord’s contents, loss of rent, subsidence, landslip and heave, property owner’s liability, employer’s liability and legal expenses. Some of the features and benefits of Covea’s landlord insurance. 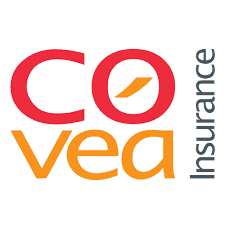 Covea is an insurance provider that offers a range of insurance products directly to businesses and through brokers. They offer property owner’s insurance that is available for residential and commercial properties with a maximum limit of £5 million cover. They will insure up to 10 properties. Covea’s property owner’s insurance covers up to £5 million property damage which includes loss of rent on residential properties, £1 million buildings cover that can be increased and £5 million of property owner’s liability cover. Additional cover includes contents insurance up to £250,000 which can be extended further, legal expenses and employer’s liability. Some of the features and benefits of AmTrust Europe’s landlord insurance. AmTrust Europe is an international insurance provider who offers a wide range of business insurance which includes property insurance such as landlord insurance. They offer landlord insurance to a wide variety of residential tenancy types which includes professional tenants, DSS eligible, student accommodation and asylum seekers. AmTrust Europe’s landlord insurance offers bespoke service and will tailor their insurance products to build a policy that suits your needs. You can add optional cover including loss of rent, property owner’s liability, legal protection, accidental damage, employer’s liability and terrorism cover. They also offer commercial property owners’ insurance which includes the same optional extras. Some of the features and benefits of CNA Hardy’s landlord insurance. CNA Hardy is an international insurance provider that has offices in Singapore, US and across Europe including London. They offer a variety of insurance products to businesses to protect them from damage and legal disputes. Although they are an international provider they believe in the importance of local knowledge and expertise. CNA Hardy’s property insurance is available to all kinds of businesses for a wide variety of properties including residential and commercial properties. They have a particular appetite for residential, SMEs, light industrial, leisure and hospitality. They cover all risks and third-party liability as well as offering a range of additional covers. Some of the features and benefits of Churchill’s landlord insurance. Churchill is a UK based insurance provider that offers a selection of business insurance products that includes landlord insurance. They offer a range of insurance packages for landlords which includes buy-to-let insurance, buildings insurance, contents insurance and landlord boiler cover. Churchill’s landlord insurance is designed as flexible packages where you can tailor the cover you need to get the level of cover you require. They offer buildings insurance up to £10 million and contents insurance up to £500,000 as well as optional extras such as loss of rent cover and replacement locks cover. If you are already an existing policyholder, you could get a discount for additional policies. Some of the features and benefits of UK General Insurance’s landlord insurance. UK General Insurance is an insurance provider that offers a variety of insurance products to businesses which includes landlord insurance. They offer two products suitable to landlords which are the let property insurance and rent guarantee insurance. Their rent guarantee insurance offers protection against challenges affecting property income. UK General Insurance’s let property insurance is suitable for a wide variety of property lets which includes student properties as they offer up to 60 days unoccupied cover. The policy includes accidental damage, loss of earnings and rehousing costs if the property is unhabitable after an insured event, and you can add contents cover if needed. Some of the features and benefits of ARO Insurance’s landlord insurance. ARO Insurance is an insurance provider and underwriter that offers its products to brokers. Their product range caters for a variety of business needs and in particular property cover. They offer three property owner’s cover which are single property residential landlord insurance, multi-residential landlord insurance and commercial property owner’s insurance. ARO Insurance’s landlord insurance is available for a wide range of tenancy types and they offer cover for up to 25 properties. Their cover includes buildings cover up to £5 million, contents insurance up to £50,000, property owner’s liability insurance up to £5 million, loss of rental income and temporary accommodation costs for tenants. Some of the features and benefits of Modus Insurance’s landlord insurance. Modus Insurance is an insurance provider offering business insurance including landlord insurance that is tailored to meet the needs of let properties. 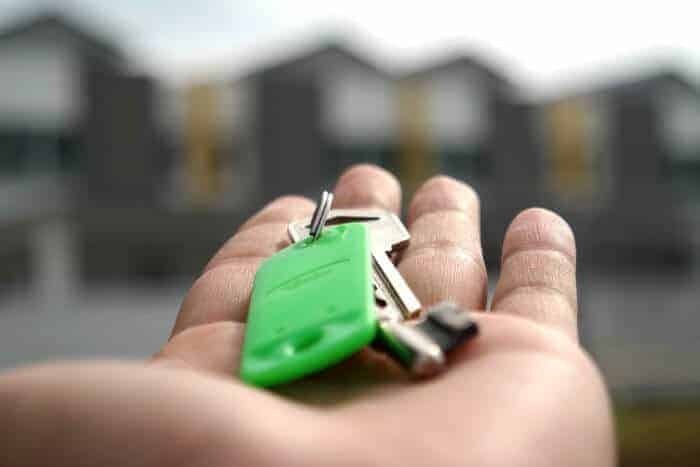 They cover a broad range of tenancies and uses which include holiday homes, weekend properties, lodgers, benefits-assisted tenants, students and asylum seekers. They also insure non-standard construction and listed buildings. Modus Insurance’s landlord insurance covers buildings, contents, loss of rent as a result of an insured event and public liability insurance of up to £1 million. They provide cover for landlords that have up to 10 properties in their portfolio. Their insurance is flexible and can include unoccupied properties and those unoccupied for periods of time. Some of the features and benefits of ARAG Insurance’s landlord insurance. 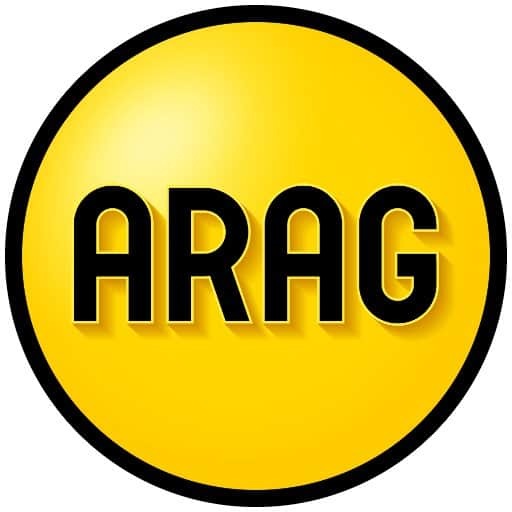 ARAG Insurance is an insurance provider that offers before the event and after the event legal insurance products which include two landlord insurance products. These products are Landlord’s Legal Solutions and Landlord Emergency Solutions. The Landlord Emergency Solutions provides protection products such as boiler cover, plumbing cover, overnight accommodation and lost keys cover. ARAG Insurance’s Landlord’s Legal Solutions provides offers protection for landlords against legal disputes with tenants and defence against prosecutions. Their cover offers up to £50,000 of expenses per claim and covers repossession, property damage, nuisance, trespass and recovery of rent arrears.